It’s easy to make a horror movie. They seem to be produced by the dozen every year. It is not easy to make a frightening horror movie. I have seen very few in my time. Producers, writers and directors seem to confuse bloody murder with horror. While real murder is indeed terrifying, I find its on-screen counterpart to be, for the most part, unimaginative, repetitious and boring. 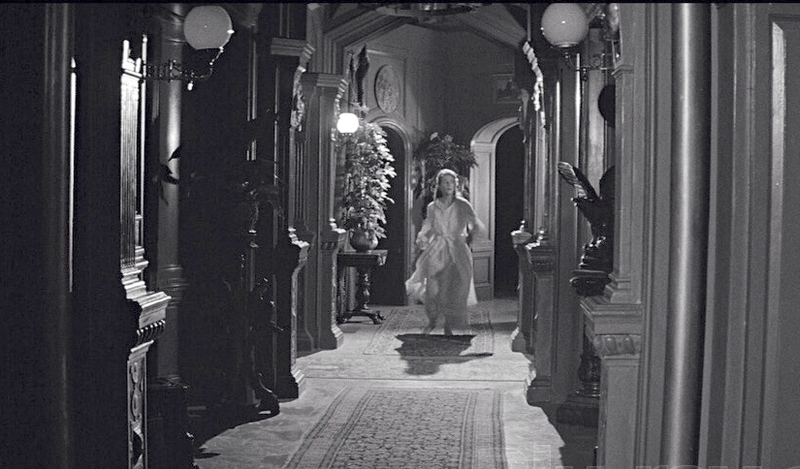 I have never found The Haunting to be boring, perhaps because it relies on terror, not horror. 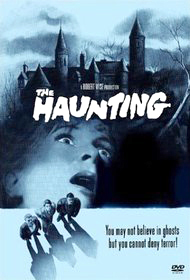 This adaptation of the Shirley Jackson novel The Haunting of Hill House is about four people who come to a mansion to investigate its sinister reputation for paranormal activity. Leading the team is Dr Markway (Richard Johnson); Theo (Claire Bloom) is a psychic, and Eleanor (Julie Harris) experienced the supernatural as a child. 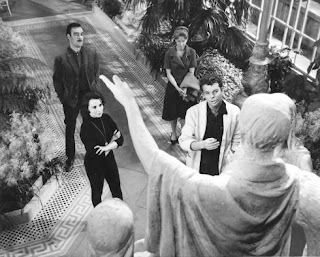 Luke (Russ Tamblyn) is set to inherit the house one day, and comes along to look after his property. What they find is something none expected - or wanted. This is by far the scariest film I’ve seen and, while, based on my assertion that I haven’t seen many that would qualify for scary, it may seem an empty superlative, I can assure you that The Haunting is hair-raising on its own merits. The director and writer knew that what one doesn’t see or hear, or sees or hears indistinctly, is much more unnerving than what is right in front of one. Incoherent voices, sounds that can’t quite be made out, something on the other side of a closed door… These are the sources of real fright. 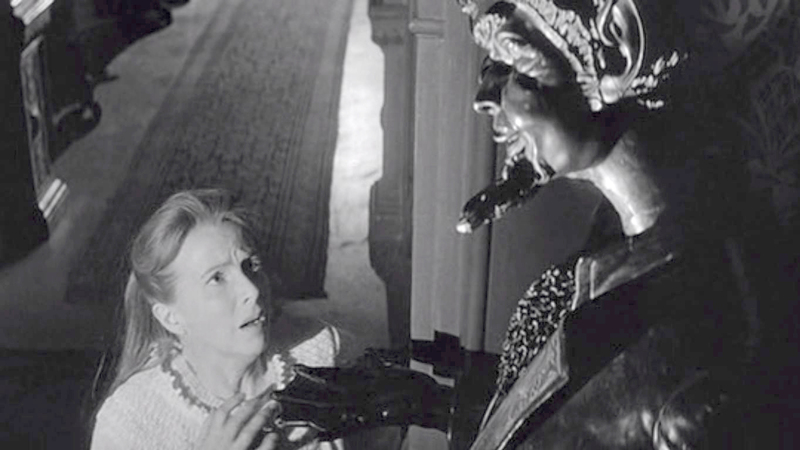 Photographed in black-and-white, the movie accentuates shadows and light, distorting the already slightly off-kilter Hill House. Rooms are large but paradoxically claustrophobic; ceilings are low; corridors are abnormally long. The setting is as disturbing as the plot, and is handled by film-makers who know their craft. The cast is excellent. Johnson portrays Markway stolidly, as an open-minded man, though logical. Tamblyn is at first annoying, but as he begins to realise something is amiss with Hill House, he starts to become a bit more responsible. It is the two women, however, whose characters are best-drawn. Bloom is rather cynical, even cruel at times, but is the first to be truly terrified by the house, perhaps because of her psychic abilities, the same abilities that give her a superior air. Harris is superb as Eleanor, fragile but who nevertheless made me think that there was something hidden all the time in her personality. Though this is essentially a four-person film, there are supporting players. 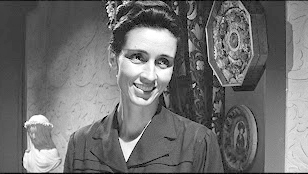 Among them, Rosalie Crutchley is a stand-out. 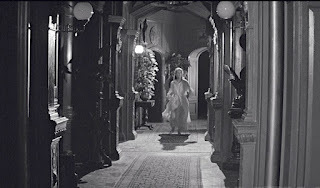 Her droning, monotone warning of the dangers inherent in the house after dark is creepy; ignored by the other characters and given in the background, it is an harbinger of what will come. I love a good ghost/horror film, and I agree with you: the *good* ones are irritatingly few and far between. (Particularly since I can't stand watching scenes showing explicit violence.) Thanks for bringing this one to my attention! I’ve seen a few movies with real chills, but this is by far the best. this movie is excellent; I saw it first when I was visiting my grandparents and was happy they were in the next room that night !!! I may have been about 12 or so; and have watched it several times over the course of the years; even though I "know" what to expect; it still is ~~~~~~~~~~~~~~ !! In a way, knowing what’s coming is as frightening as not. Plus, there’s the advantage of seeing things you haven’t noticed before.